Alliance Medical – Innovation and Technology – for you and your patients! Our decades-long collaboration with clinics and medical practices across Europe allows us to increase our efficiency without sacrificing quality. We can offer you a suitable, individual solution for diagnostic imaging in the areas of radiology, urology and nuclear medicine to satisfy almost any requirement. Clients are asking for innovative solutions so as to be able to match pace with ever changing challenges and in particular high price pressure. We want to help you offer your patients the latest technologies and processes through flexible solutions so that you can strengthen your position with regards to your competitors. With over 250 projects and installations in medical facilities across Europe every year, Alliance Medical has established itself as a strong and experienced partner in the healthcare sector. In Germany too, hospitals and medical practices have been benefit-ting from Alliance Medical’s international experience and all-round know-how for more than 20 years. 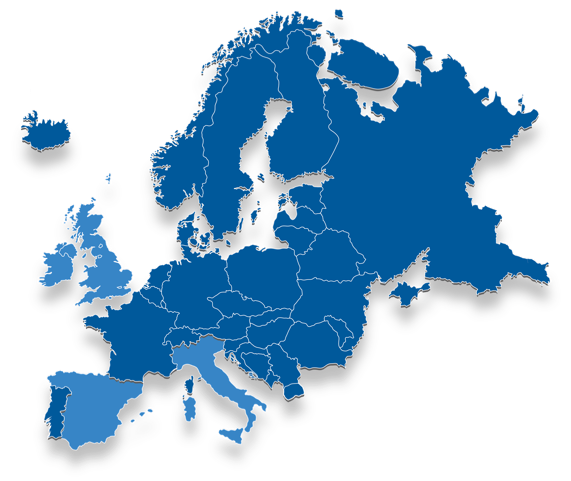 As Alliance Medical NE (AMNE), our field of activity covers a large portion of Europe. Moreover, we have already managed to successfully implement projects in countries such as Israel and in North African regions.